Patch 1.1 has been released for Eko Software's recently released sports title, RUGBY 18. The patch includes fixes, changes and improvements to the game's content, gameplay, game modes and menus. The developer of this year's RUGBY 18 has released almost nine minutes of gameplay footage so you can take a look at the game in action and decide if it's up your alley. With less than a fortnight, there's not necessarily a lot of time to get the pre-order bonus that publisher Bigben Interactive have announced for Eko Software's upcoming sports title RUGBY 18. Eko Software has released a new trailer filled with in-game footage and raw arena-shaking energy from the fans in their upcoming sports title RUGBY 18. The first RUGBY game with trophies was RUGBY 15, which was developed by HB Studios, published by Maximum Games and released on 24 February 2015. 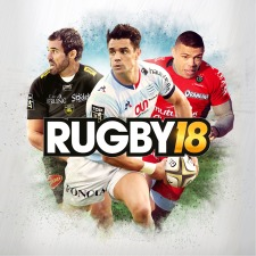 Since then there has been 1 more game in the series with trophies - RUGBY 18 which was developed by Eko Software, published by Bigben Interactive and released on 27 October 2017.